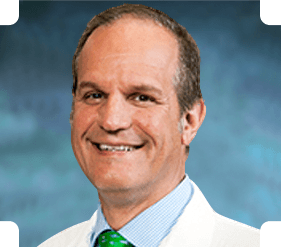 Alexandros D. Powers, MD, is a board certified neurosurgeon with additional certification in Neuroimaging and Neurosonology. Dr. Powers completed medical school in 1986 at Hahnemann University in Philadelphia, Pennsylvania. He completed an internship in general surgery at the Robert Packer Hospital/Guthrie Clinic and his residency in neurological surgery at the George Washington University Medical Center. Dr. Powers also completed research training in cerebral physiology and blood flow at the Neurosurgical Clinic in Erlangen, Germany as well as at the University of Mississippi Medical Center. Dr. Powers is licensed in the District of Columbia and Maryland and is a Diplomate of the National Board of Medical Examiners. He holds a teaching position as an Assistant Clinical Professor in Neurological Surgery at the George Washington University School of Medicine. Dr. Powers has published articles and has lectured at national and international meetings on topics including the care of the neurosurgical patient and the use of neurological imaging. He also serves on multiple surgical and patient education committees. Dr. Powers has received numerous professional awards for his work including induction in the Alpha Omega Alpha Medical Honors Society. In recognition of his academic excellence, Dr. Powers has been awarded the Harry H. Kerr Essay Award for Clinical Studies, the Hugo V. Rizzoli Award for Excellence in Neurosurgical Training, and the Central Neuropsychiatric Association William C. Menninger Award for Original Research in Neurological Surgery. Dr. Powers is a member of the Congress of Neurological Surgeons, American Association of Neurological Surgeons, the American Society of Neuroimaging and the American Medical Association. Dr. Powers resides in Bethesda, Maryland.